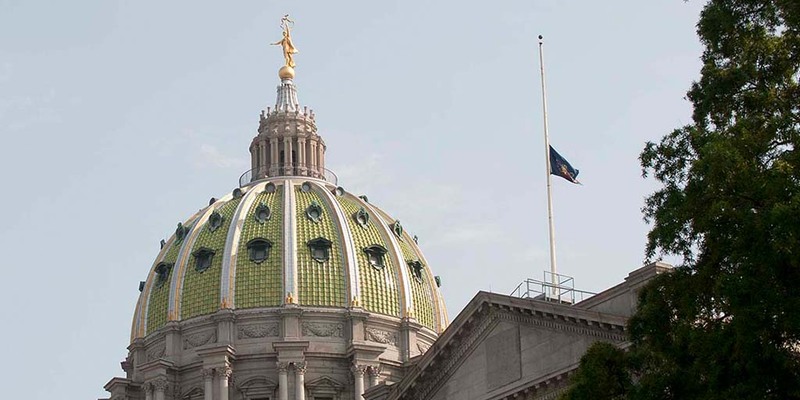 Harrisburg, PA – Governor Tom Wolf has ordered all United States and Commonwealth flags to fly at half-staff at the Capitol Complex and at all Commonwealth facilities in honor of Air Force Staff Sgt. Dylan Elchin of Hookstown, Beaver County. Elchin, 25, died on Tuesday, November 27, 2018 as a result of injuries sustained when his vehicle was struck by an improvised explosive device in the Ghazni Province of Afghanistan. The airman was assigned to the 26th Special Tactics Squadron at Cannon Air Force Base, New Mexico. The US and Commonwealth flags will remain at half-staff until sunset on the date of Staff Sgt. Elchin’s interment, which is currently being determined. All Pennsylvanians are invited to participate in this tribute.